Posted By:Unknown | At:7:05 AM Be the first to comment! (Reuters) - George Zimmerman, the former neighborhood watch volunteer who is accused of murder in the death of unarmed teenager Trayvon Martin, has raised at least $200,000 through a website set up to fund his defense, his lawyer said on Thursday. Donors contributed "just over $200,000," said Mark O'Mara, Zimmerman's defense lawyer. The site set up to solicit funds for Zimmerman's defense, therealgeorgezimmerman.com, has since been shut down. 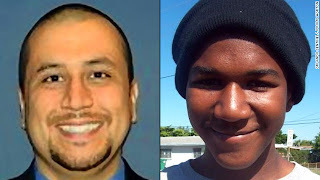 Zimmerman was released this week on $150,000 bail and has been moved to an undisclosed location. He had surrendered to police earlier this month after prosecutors charged him with second-degree murder in the February shooting death of Martin in a gated community in the central Florida town of Sanford. Zimmerman has pleaded not guilty and says he killed Martin in self defense. The incident has prompted civil rights protests and a national debate over guns, self-defense laws and race in America. O'Mara told CNN that he would inform the judge in the case of the funds on Friday.